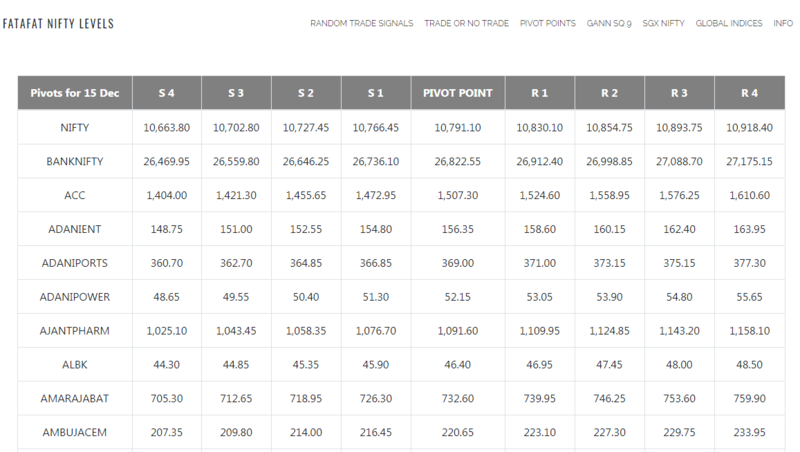 Pivot Point Calculator | NIFTY, BankNifty | Automatic All F&O Stocks. Supports all The 201 F&O stocks, Nifty, BankNifty Indices in India. Fully automatic pivot point calculator to make your daytrading easier in the Indian Stock Market. This entry was posted in Useful Trading Tools and tagged pivot point calculator. Bookmark the permalink. ← FataFat Stock Screener: Features Explained.